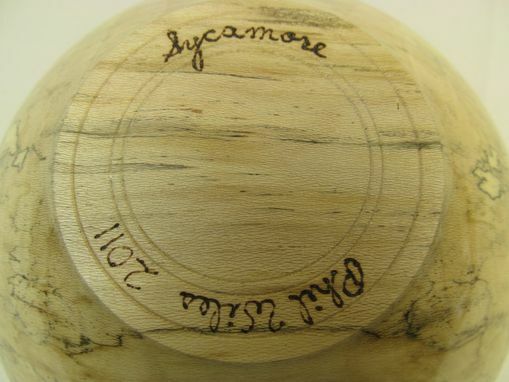 I am offering for sale a lathe turned Sycamore bowl. 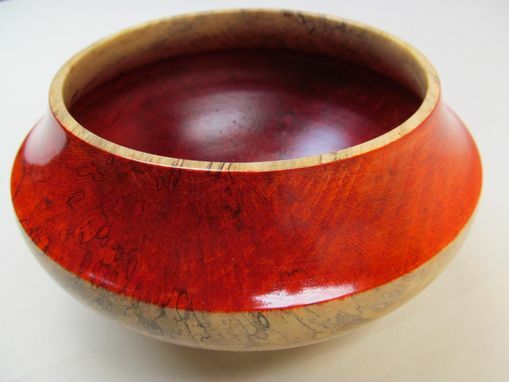 The upper portion of the bowl has been dyed red, and the bottom of the bowl has been left untreated to allow for the natural tones and grain patterns of the wood to provide contrast. 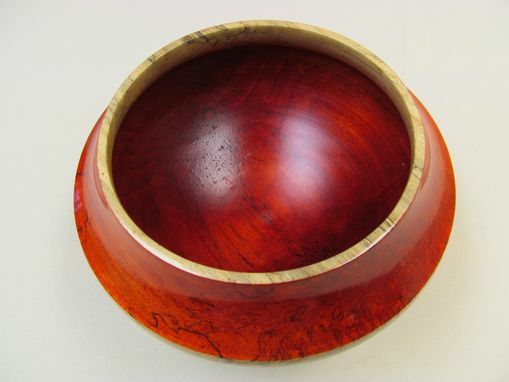 This is a very graceful bowl. It carries itself well under a wide variety of lighting conditions and works well either as a stand alone piece or in concert with other decorative elements such as glassware, silk flowers or finished wooden objects or surfaces. 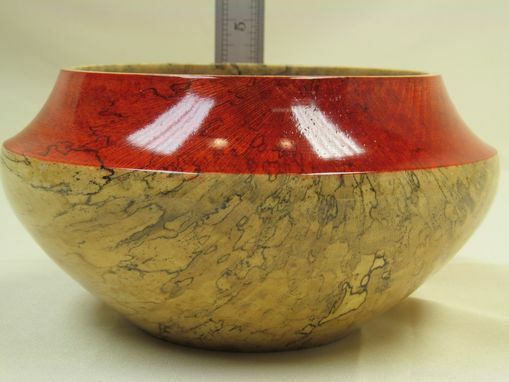 The bowl is thin walled, 4 3/16'' tall, and 8' wide. 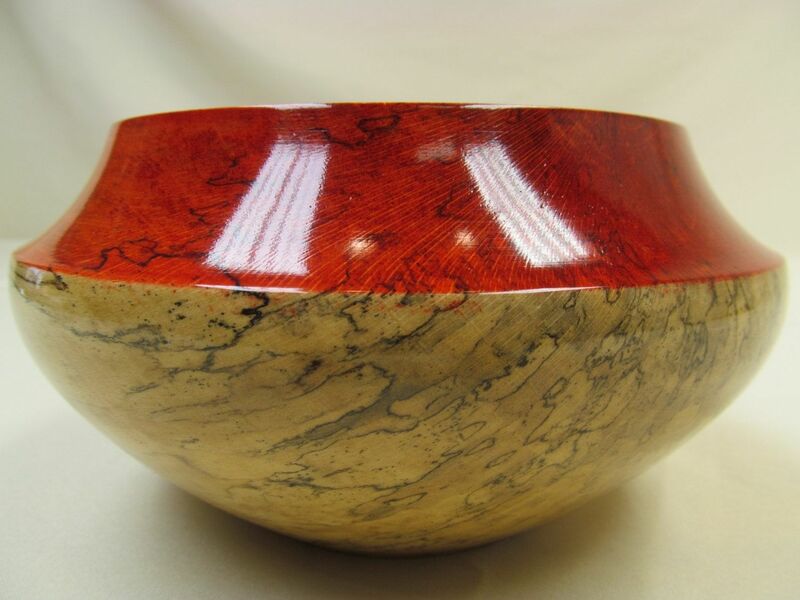 The opening at the top is 5 5/8'' Our shop member Phil Wiles hand turned this bowl and as you can see he's a master!